This year we intend to raise $35,000 to advance our mission: Keep Farming. Feed People. Build Community. And you can be part of that effort. 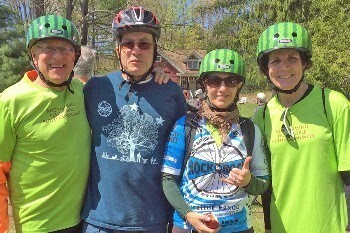 Whether you're riding 5 miles or a metric century (63 miles), every person on our team brings the spirit of Massaro as they share stories about the work we do. By joining our team, you’re preserving a part of our local agricultural history, you’re letting people know about the value of on-site education for kids from schools of all income levels, you’re reminding people that there is someone out there trying to get good food into the bellies of those who can’t afford it. You remind people about the good work that is happening in our community when other things can seem bleak. 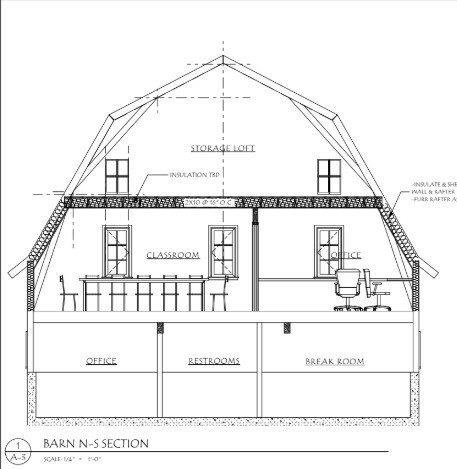 The funds that we are raising this year will go towards a new meeting/classroom/office space that we are creating in the barn. This additional space will be winterized and climate controlled so we can have programming happening in our barn throughout the year. This additional space will enable us to expand our educational offerings, meeting places for the community, and the renovation will include some much needed office space. (Image courtesy of Huestis-Tucker Architects). 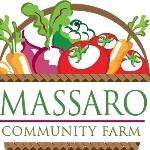 Massaro Community Farm, Inc. is a nonprofit certified organic farm in Woodbridge, CT. The farm fulfills its mission by offering the sale of produce to seasonal subscribers, restaurants, and at farmer’s markets; by running farm-based education for youth and adults, and by holding community building events each year. The farm maintains a commitment to donate at least 10% of its weekly harvest to hunger relief agencies. It donated over 5,000 pounds of food during 2018, and more than 61,000 pounds of food to date. For more information, please contact the farm office at (203) 736-8618 or Visit www.MassaroFarm.org.